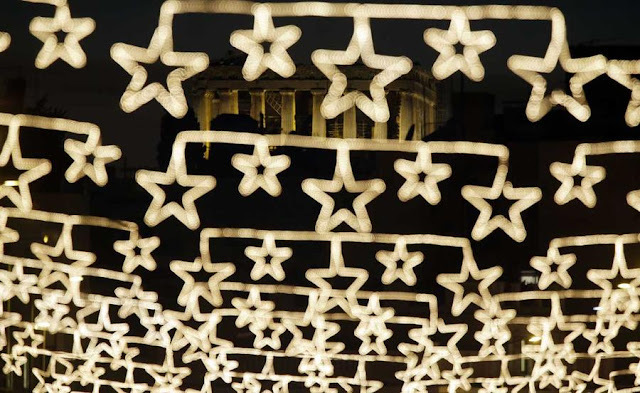 More than 240 festive events, spread in every neighborhood and corner of Athens will take place, bringing joy, hope and warmth to all residents of the city. The goal of the organizers is to to pass on a message of optimism, solidarity and peaceful coexistence, through carefully planned events that spread indoors, outdoors, in theaters, cinemas, factories and parks. A visit to Gazi and the Christmas factory will get you in the mood and Kalthmonos square will give you excellent ideas for Christmas gifts! Athens will get together for the turn of the year this time at Thissio, under the Acropolis, turning all of St. Paul's pedestrian road into a party. Swing dance groups and different bands will provide live music to the event. Speaking of Music, it seems to highlight this year’s events, with over 25 concerts taking place on Syntagma Square, a radio station playing all the days from a special booth there, the philharmonic orchestra & bands playing at many different places and dozens of live concerts from renowned artists, like Mario Frangoulis, Marisa Rizos, Giota Nega, Gina Foteinopoulou, happening every day! Moreover the City of Athens has arranged super special treats for little visitors! The National Garden and Kotzia Square will be the key points of children's events from December 12 to January 2 and December 26 to January 1 respectively. Through fairy tales, secret paths, and guided walks children will discover the National Gardens and in Kotzia sq. they’ll be able to make their very own animation project. Extra tip: Outside of the official events, atenistas, the famous urban activists organise their annual Christmas gift swap on Sunday 20th of December at Agias Irinis square, with season’s music, good company, glugwine and lot’s of cheer!